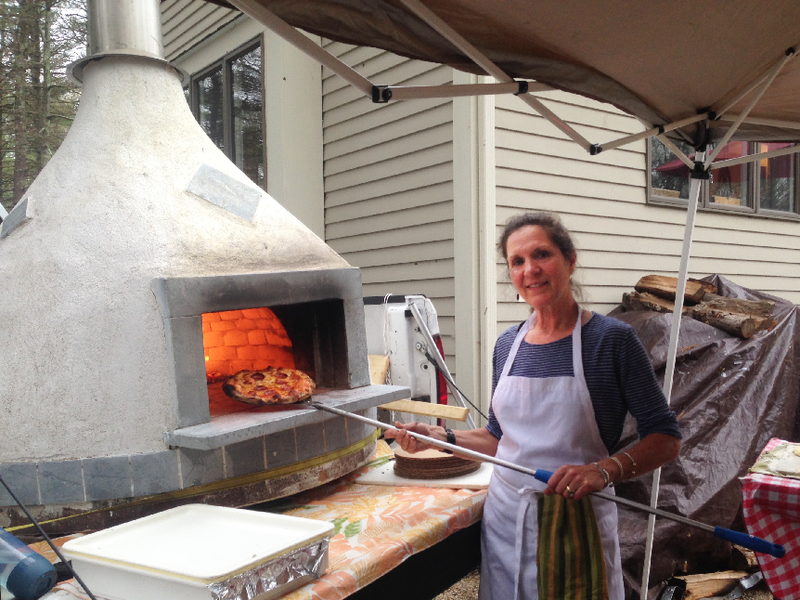 Interested in seeing a Stone Comfort bakeoven in action or maybe just interested in serving delicious wood fired pizza at you next party or social event? Stone Comfort not only builds fireplaces, we also will cater your party with personal bakeoven pizzas. Stone Comfort bakeoven pizzas are the perfect party food. We supply the bakeoven, dough, and manpower to cook for parties of 25 or more. Stone Comfort catering is an excellent choice for a graduation party, wedding, beer garden, birthday party, or corporate event. Customers supply the ingredients, Stone Comfort will take care of the rest! Visit here to learn more about the experience of a bakeoven pizza party. Our team arrives an hour before the event with an already stoked oven in tow. The bakeoven is quickly brought up to a temperature of 700°C. The high temperatures make it easy to cook lots of pizzas fast - only 90 seconds and they’re ready! We can put out about 60 personal-sized pizzas an hour. We encourage our customers to buy a wide variety of ingredients to experiment with. From sweet to savory, you’ll want to try them all! If you have any more questions, feel free to visit our contact page to get in touch.